Microsoft Inspire is not only where thousands of partners from around the globe meet to get business done, it’s also where we meet to celebrate our partners and all their innovations and successes. Last year, we celebrated in a big way with a live performance by Gwen Stefani, and this year we’re bringing another huge name to the stage for the biggest partner celebration yet. Get ready to celebrate with Carrie Underwood! 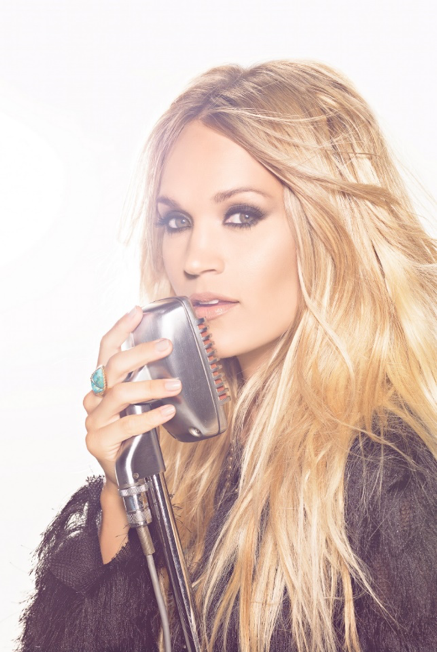 Join us at Microsoft Inspire for a performance by Carrie Underwood, seven-time GRAMMY® Award winner, country music superstar, and voice of Sunday Night Football. 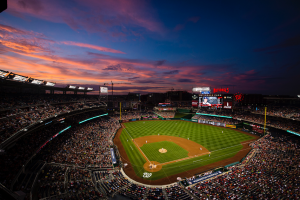 We cannot wait to celebrate and honor you—our partners—with this amazing performance, hosted at Nationals Park in Washington, D.C. on July 12th beginning at 7 PM ET. In addition to a great performance, you can expect plenty of food, fun, and a wealth of opportunities to make new connections. Carrie Underwood emerged from the promise of her 2005 American Idol win to become a true multi-format, multimedia superstar, spanning achievements in music, television, and film. A seven-time GRAMMY® Award winner, she has collected over 100 major honors, sold 64 million records worldwide, and recorded 25 #1 singles, 13 of which she co-wrote, with a catalog of songs that have been streamed over 2.6 billion times worldwide. The first female artist to be twice named the Academy of Country Music’s Entertainer of the Year, Underwood was recognized by Pollstar as the top female country touring artist for each of her headlining tours in 2008, 2010, 2012, and for 2016’s “The Storyteller Tour – Stories in the Round.” Carrie also topped Billboard’s Top 25 Tours of 2016 as the leading female country artist and was the leading female artist on Country Aircheck’s top country radio performers list for her success in both 2015 and 2016. All five studio albums, Some Hearts, Carnival Ride, Play On, Blown Away, and Storyteller are certified Platinum or multi-Platinum, and each are an American Music Awards winner for Favorite Country Album. Together they tallied an incredible 40 weeks at #1 on Billboard’s Top Country Albums chart. 2016 marked Underwood’s fourth season as the voice of primetime television’s #1 program, Sunday Night Football, and in November, she returned for a ninth consecutive year as co-host of the CMA Awards. The Grand Ole Opry member also demonstrated her diversity in 2013, starring as Maria von Trapp in NBC’s three-hour holiday blockbuster, the Emmy®-winning The Sound of Music Live!, whose airings attracted 44 million viewers. The reigning CMA Female Vocalist of the Year, Underwood recently claimed her fourth win in the category amid the ongoing success of her chart-topping fifth studio album, Storyteller – the only country album to launch to Platinum certification since the time of its release in October of 2015. Want to bring a guest to the Partner Celebration? Guest passes can be purchased for $150 when you register for Microsoft Inspire or can be added to your existing registration by logging in to the registration site and navigating to the Guest Passes page. All guests must be 21 years of age or older. No exceptions for infants and children. Microsoft Inspire is Microsoft’s biggest partner event of the year. Join us this year to meet with Microsoft partners and employees, forge new relationships, and find new ways to provide the very best solutions for customers. Register now to take advantage of the early registration price and secure your spot—the all-access passes are now starting at US$1,995, valid through May 2. We look forward to celebrating with you in Washington, D.C. at Microsoft Inspire this July!